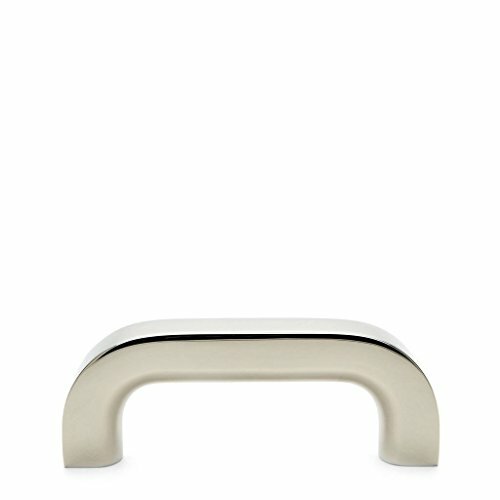 Measurements: 4 3/4" x 3/4" x 1 3/4" Material: Brass Finish: Nickel Collection: Dillon Vendor Name: Waterworks Vendor SKU: 22-40314-42521 Original List Price: $224 Additional Details: Minimally executed in solid brass, the Dillon pull is inspired by artisanal furniture of the 1950s and 1960s. It offers a beautiful and practical way to finish off a clean, contemporary look. If you have any questions about this product by Water Works, contact us by completing and submitting the form below. If you are looking for a specif part number, please include it with your message.